Ann de Pauw and Luc Huysveld have spent over 11 years, between 1989 – 2000, visiting the Fon and neighbouring ethnic groups in Benin. 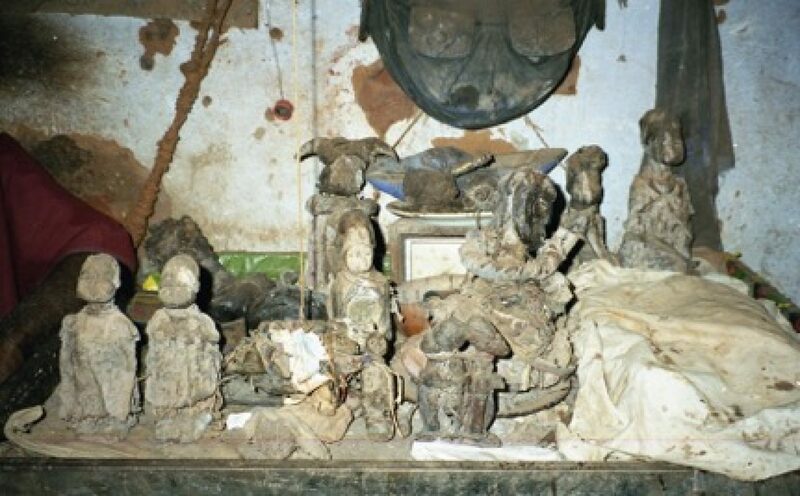 Over that time, they collected and dealt in a wealth of material culture—specifically bocio protective figures—from that area. There was very little commercial interest in bocio figures in the early ’90s. Things have since changed. 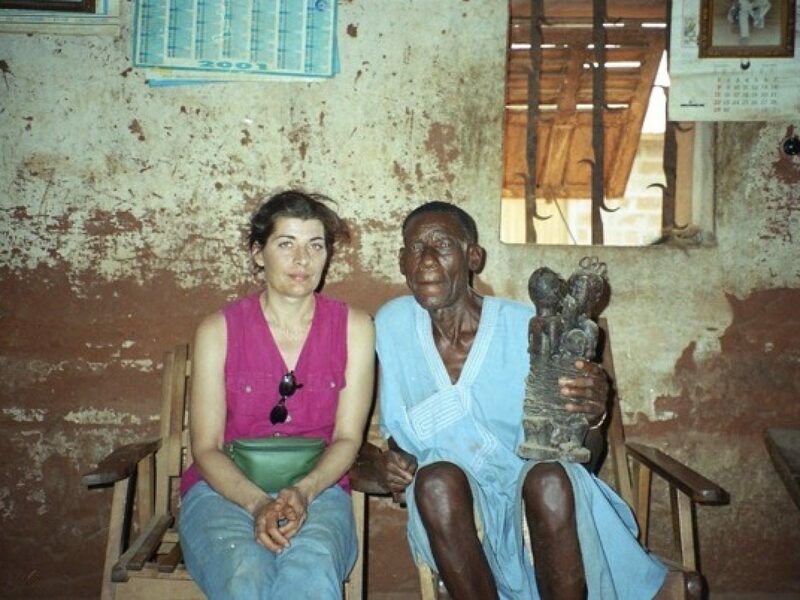 In this Dealer Spotlight, we speak with Ann to learn more about her experience in Benin, her passion for bocio figures, and her thoughts on the future of Fon art. Tell us a little about yourself, how did you become so involved with Fon bocio figures? At the age of 19, Luc and I discovered African art—we’d visited a show on of Kuba textiles organised by the Bank Saint-Lambert in Brussels. We both knew, at that moment, that we were addicted. After visiting that first exhibition, we’d spend every spare moment visiting galleries in Brussels. We had no knowledge and no budget, but we had the ‘this is it’ feeling. At the age of 26, we both decided to give up our jobs and start a business in African art. We traded African crafts and beads to make a living but our goal was to become serious dealers, buying and selling authentic pieces. 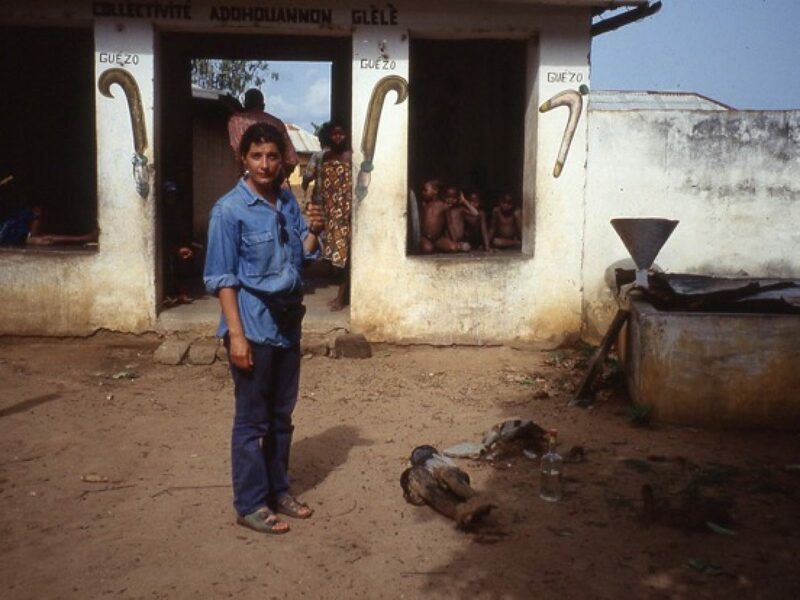 We also started to travel to the African continent to buy crafts and to look for authentic pieces from Mali, Burkina Faso, Cameroon, and Guinea-Conakry... but without much result :) This was at the end of the 1980s. 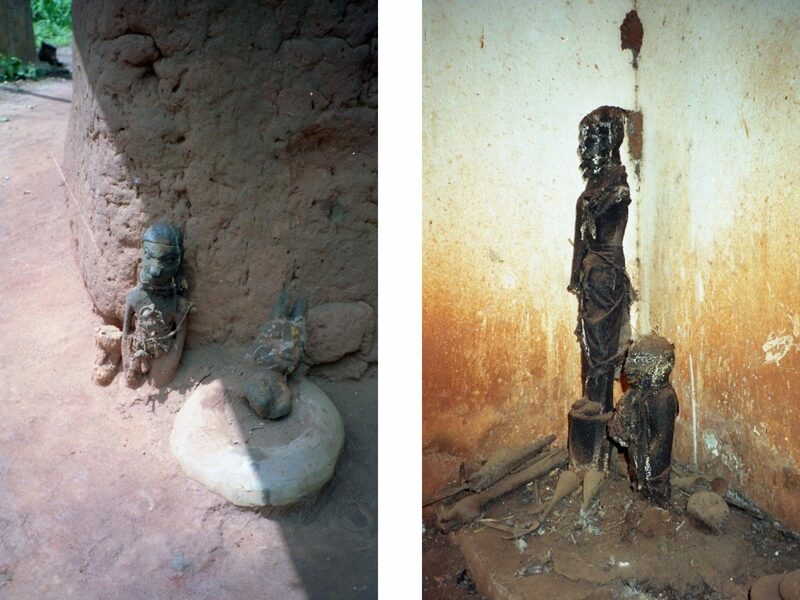 In 1990, Benin abolished the Marxist-Leninist regime and became democratic, it became more open for visitors. During our first visit, we knew immediately that our luck had changed. 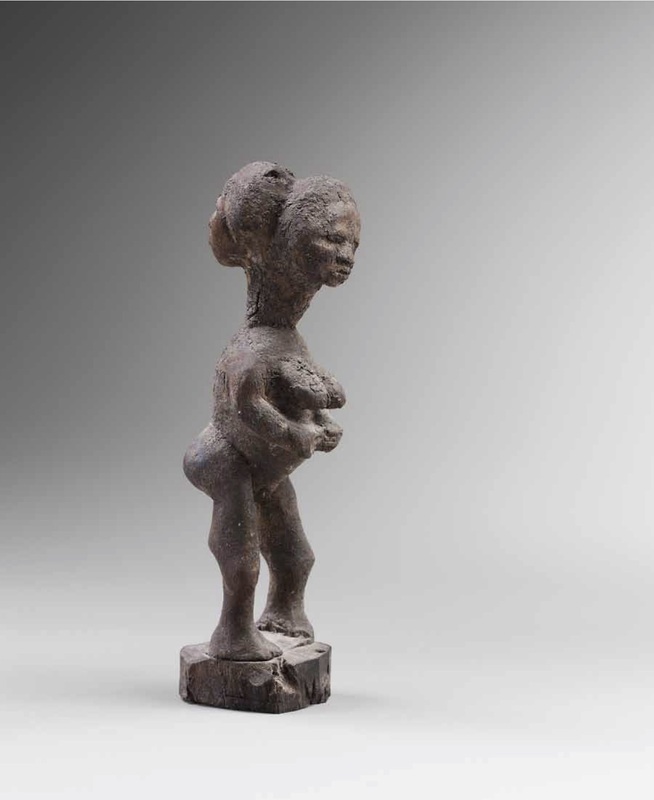 At that time, tourism to the country was still relatively low and Fon sculpture was largely unknown and not in vogue with European collectors. 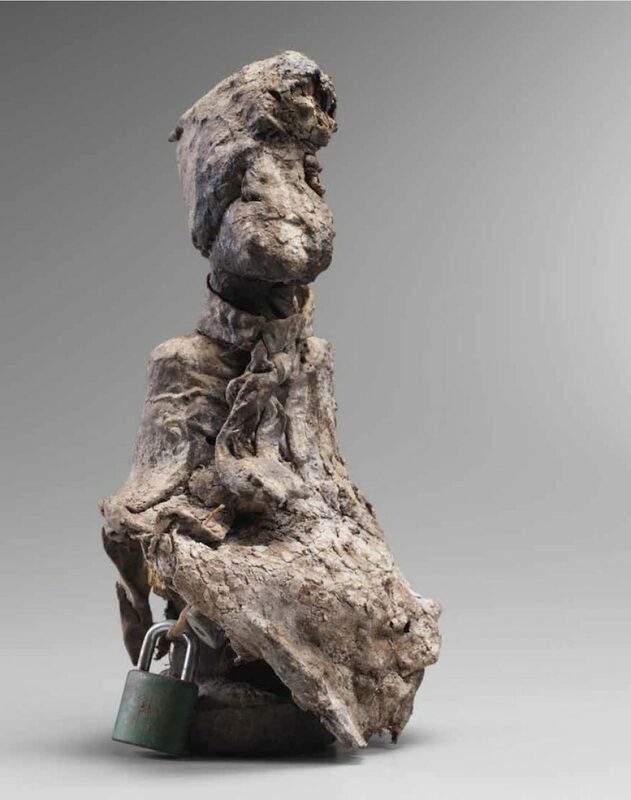 Even back when Jacques Kerchache visited the country in 1968/69, he brought back a good number of beautiful pieces but according to an old friend of his, the market was not ready for Fon sculpture. Kerchache sold a few of the pieces he'd collected but kept much of his collection at his country house for himself. 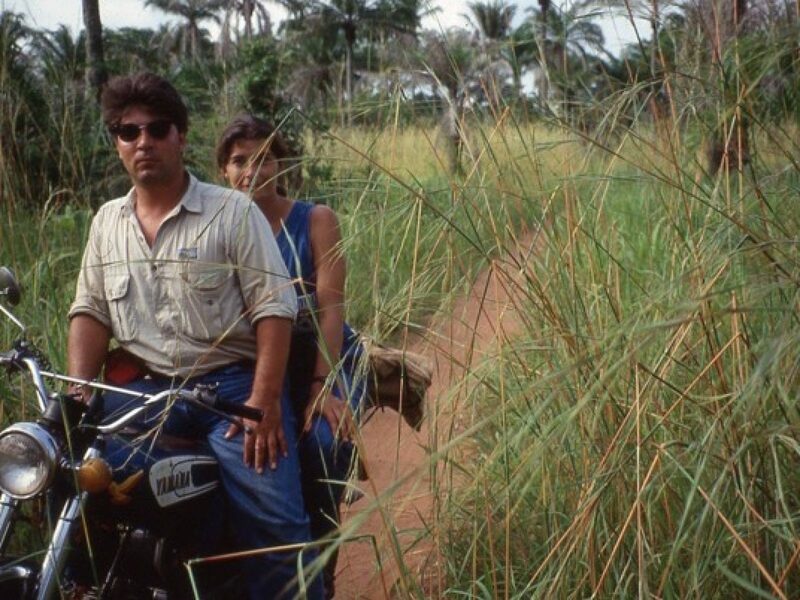 We rented a motorcycle and started to drive in circles around Abomey. 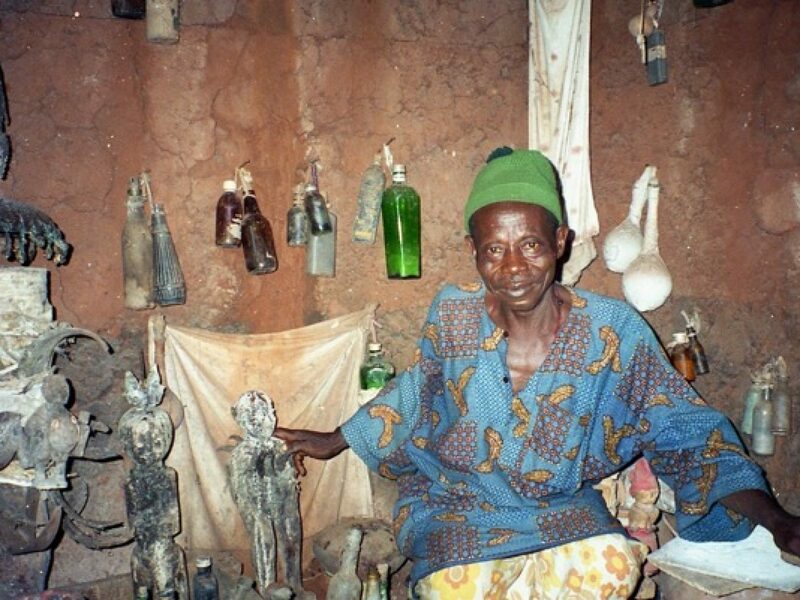 We met a young man who spoke French, and we convinced him to travel with us to visit the Fon healers he knew. It took some time but after two trips at three weeks each, we were introduced little by little! 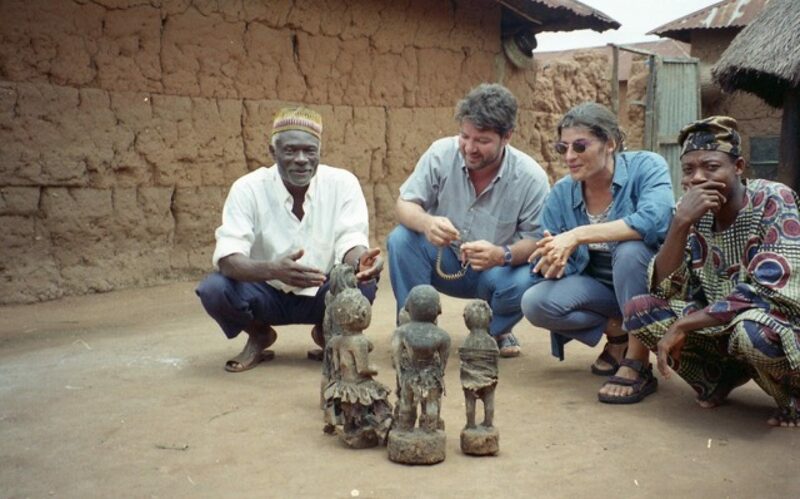 From that first trip, our search for Fon and Adja figures in Benin lasted about 11 years (1989 – 2000)! We’d visit Benin every three months, for up to a month at a time. It was an amazing period in our lives and over time, we became experts in Fon and Adja art, we were very dedicated. At that time, there was almost no interest in Fon pieces in Europe—it was Nok season—but we got lucky again! Amongst our little group of clients were two important dealers and one museum. They had the money and the ‘nose’, and every four months, they bought the best pieces we’d collected. They knew Fon pieces were not commercial but they were in financial situations that allowed them the flexibility to invest in pieces that they personally estimated as high in aesthetic value. 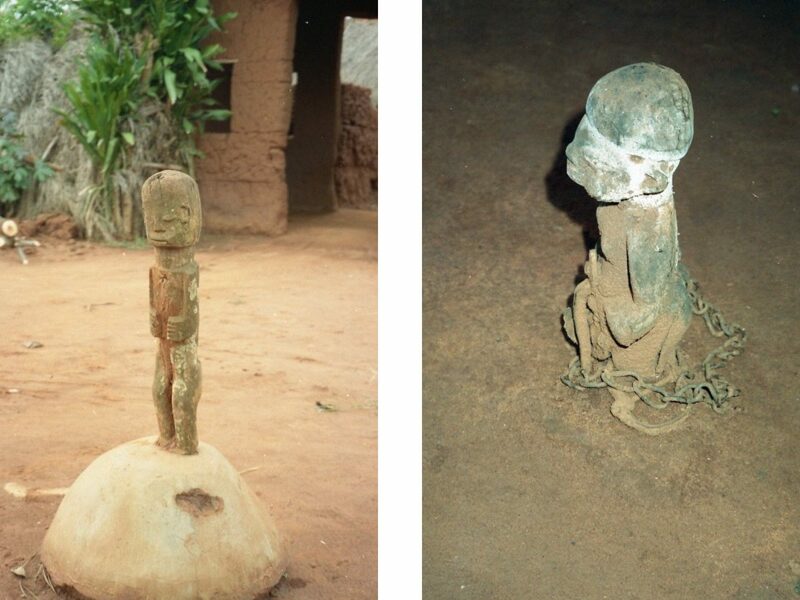 The reactions to Fon figures from less aware collectors was often the same; “we cannot see the wood with all that sacrificial material”, “it is impossible to become an expert due to the lack of literature in this field”. Of course, many of those early opinions were incorrect. A natural sacrificial patina is clearly different from a fabricated patina. In addition, the choice of wood is very important in the making of a bocio—part of the power of a figure lies in the wood. 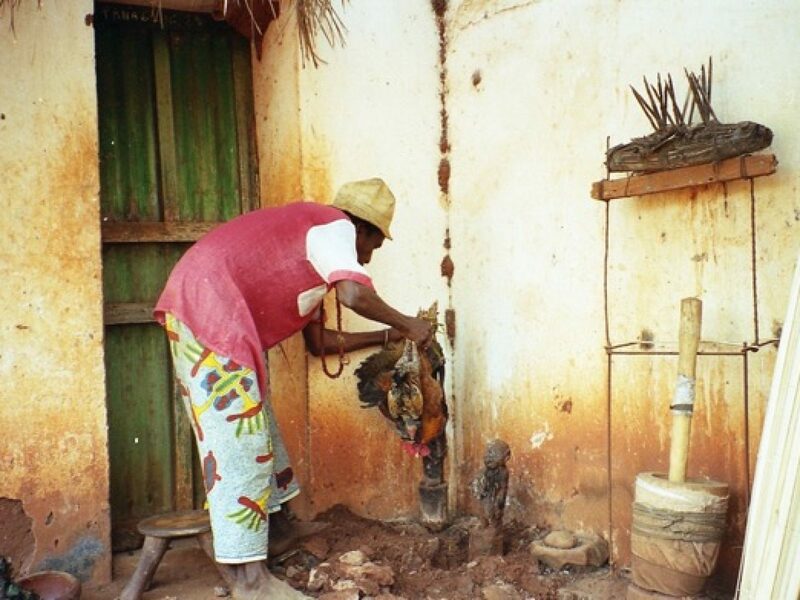 For example, anti-sorcery bocio are always made of ‘iron’ wood such as kaké, the belief being that even with a piece of iron, the figure is impossible to penetrate, therefore sorcery/malevolence cannot enter the body. With bocio figures, one can always see the wood. If the whole piece is ‘sacrificed’ from top to bottom (and even underneath), then you can be almost certain that it is a fake. A natural sacrificial patina is built up, little by little, over time. 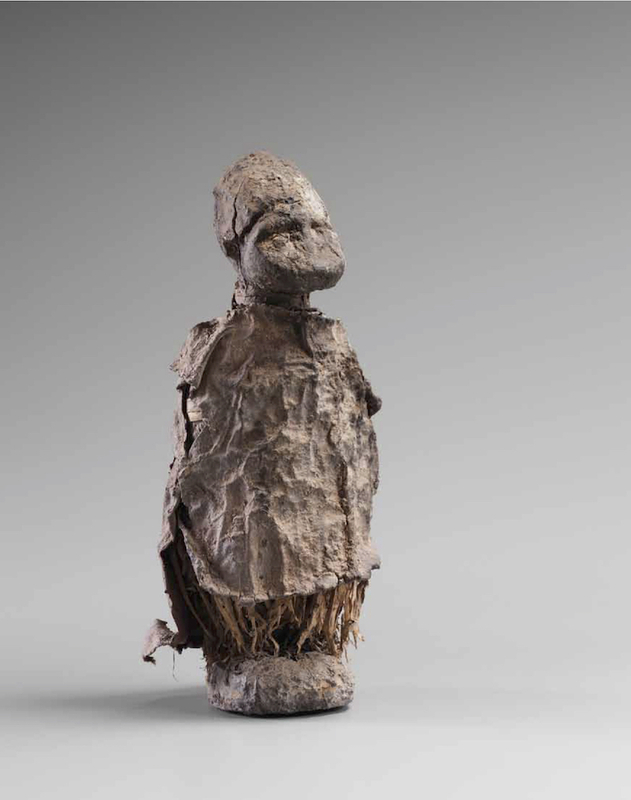 During rituals, buckets of blood and other organic material are not poured onto the figure—sacrificial material is added gradually, sometimes only a few drops at a time, resulting in a construction of layers. The thickness of those layers varies depending on the location at which sacrifices were applied to the bocio. Therefore, you’ll never find a homogeneous sacrificial patina on bocio figures. How did you source pieces? 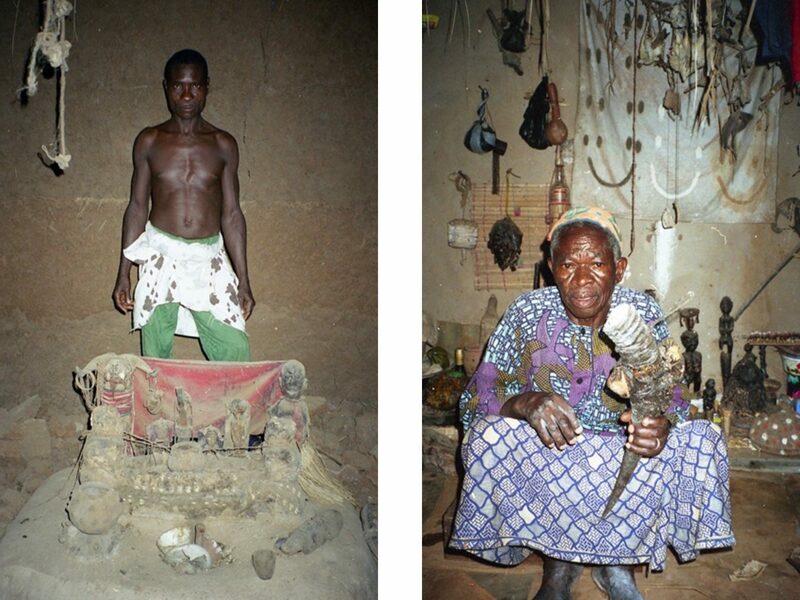 We visited villages in Benin and made inquiries amongst local healers. After many years, we became well-known among the locals and the healer societies. Many sought us out and asked us to come to visit them because they had inherited figures which they did not dare touch and/or did not use anymore. 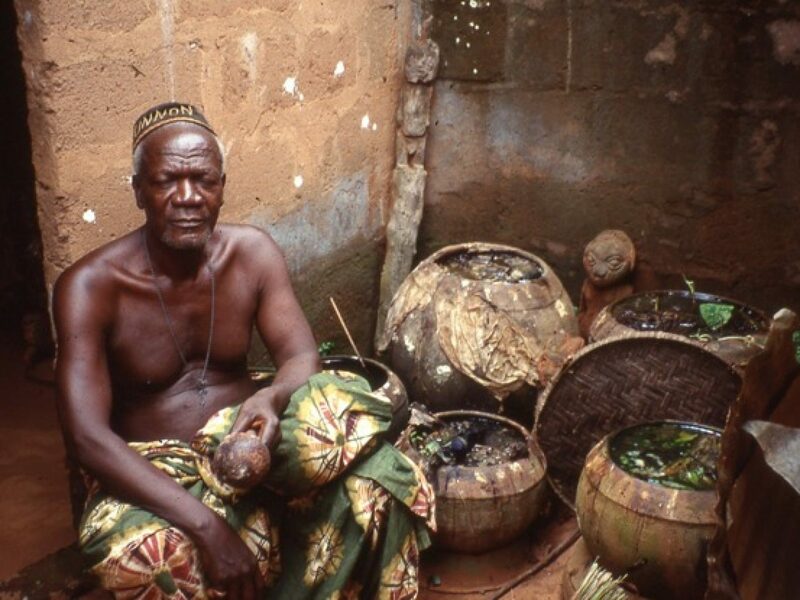 Old healers were also very aware of the fact that the younger generation had the desire to live in more modern ways, life was rapidly changing in Benin and the younger generation was longing for a more Western style of living. They were moving out of the little villages and into the big cities. We regularly bought complete shrines from older healers because they knew successive generations would not take care of the shrines. They also wanted to support their children financially—the healers saw our passage as an opportunity to make money. We did go back a couple of times after the 11-year stretch but found that it became much more difficult to find authentic pieces, we had to 'kick back'. 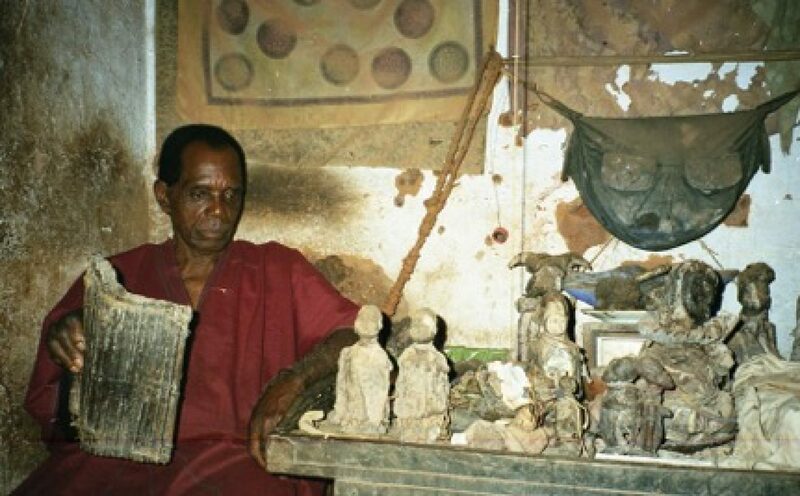 At that time, the market for bocio had awakened and the copy business was already flourishing in Lomé and in Bohicon (Abomey). Visiting a village we'd known for years, we were suddenly presented with a number of bocio planted in the ground, presented as something true but the whole group was fake! We had a really good laugh with the healer that day, took some pictures for our archive, and left it at that. "This typical style of bocio comes from the village of Tindji, almost at the border of the Anago people but still Fon. Mr Seifidé, the old man in the picture, was one of a kind. I’ll never forget that man! We bought several pieces from him, including three bocio including the one in this picture with a dog skull bound on the belly." And what exactly are bocio figures? How were they used? 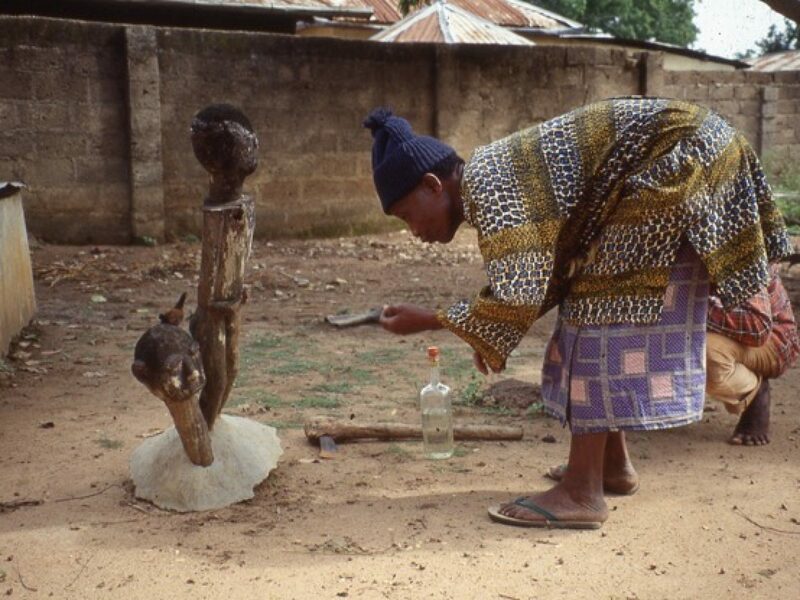 As with almost all African figures, a bocio is a ‘transport vehicle’ used to communicate with supernatural forces. In addition to this communication function, it is constructed with a large range of powerful material to help people deal with the malevolent forces of life like sickness, poverty, and bad luck. Bocio combine religion, pharmacology, philosophy, psychology all into a single figure! Religion: you have to believe. 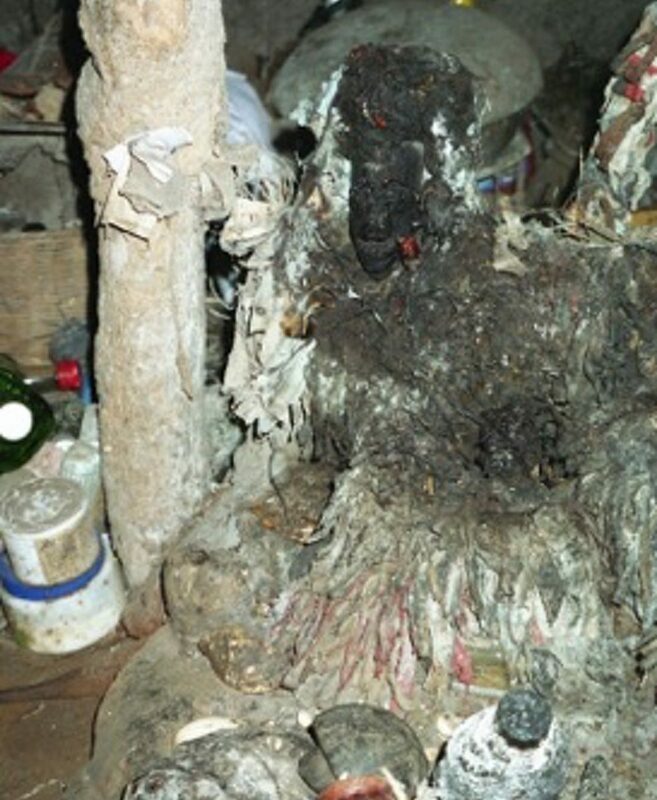 Pharmacology: the attributes attached to a bocio (in bottles and/or calabashes, or in bundles found underneath the figure with powders consumed during the healing process) are based on a long tradition. Fon healers have efficient remedies that work for many diseases. Philosophy: cause and consequence become clear when a client visits a healer sat in front of bocio figures. Psychology and the Power of the Sculpture: a good African sculpture is burdened with deep human emotions—sadness, illness, fear, strength—when we’re seated in front of such a bundle of recognisable emotions, we can exteriorise our troubles. Can you describe some of the major pieces you've collected and sold? With every journey to Benin, Luc and I needed money to go on. We were living on a roller coaster, and we liked it! We sometimes found it difficult to let go of certain pieces because we knew how extraordinary they were. After about four years, we’d gained enough knowledge on the Fon and the Adja to recognise and ‘feel’ the strength of certain pieces. We decided that we’d choose and keep one figure from each trip. That did not last of course. There were times when we did not find enough pieces to make a living so we had to sell major pieces that we’d kept for ourselves. 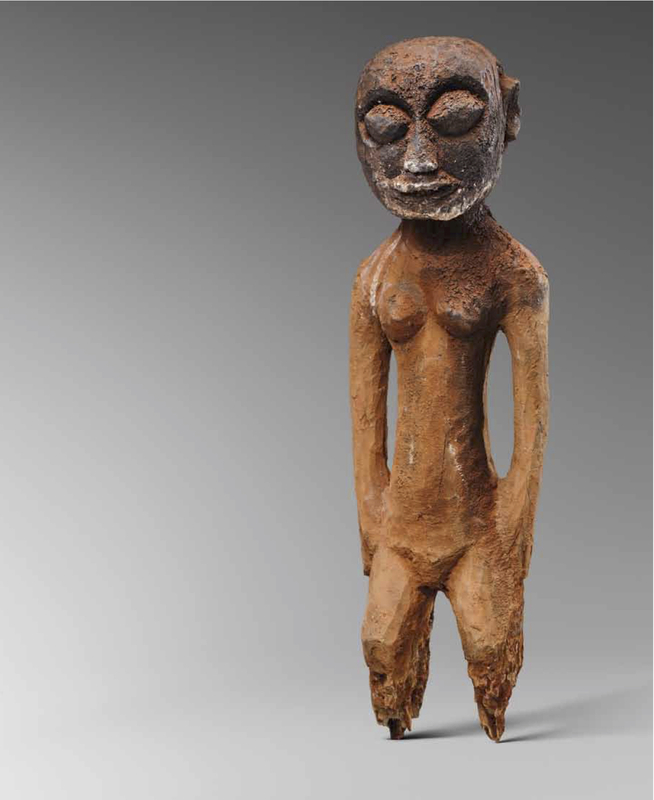 Some pieces that stand out in my mind are the most beautiful Adja twin figure I’ve ever seen, an Adja sorcery bocio of amazing sculptural quality and age, two kudio bocio figures, the best Adja janus figure that we collected from Klouekanme-Wanou village in 1995 (it was an individual's personal protector), one head is carrying the other head with so much strength and deep emotion. 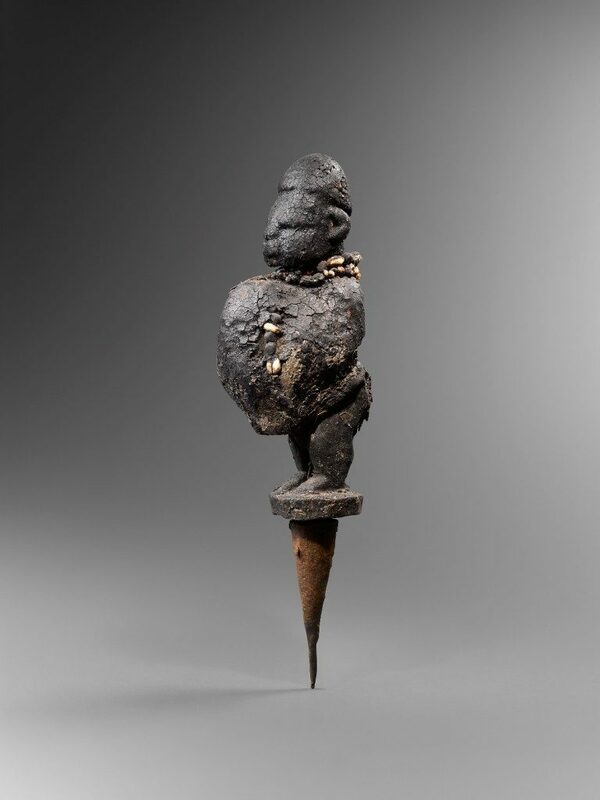 The good news is that we still have some of these ‘major’ pieces, a number of which were exposed by Serge Schoffel during Bruneaf when he presented his ‘Vodoun Fon’ catalogue. They weren’t for sale but he convinced us to expose them to complete the exhibition. Believe it or not, the bocio figures which had the most attention were not our ‘masterpieces’ but in our opinion, less important ones, often younger in age. I also often think about a sorcery bocio from which we received the list of ingredients, almost two pages of ingredients and incantations! What makes a great bocio figure? Does age play a part? What should collectors be looking for? The incredible strength which comes from the inside! To be honest, that is the quality of every high-quality African figure. Don’t be overwhelmed by ‘spectacular’ features which are mostly a characteristic of very young, low-quality pieces or often are inventions of good fakers. Age plays a part in the sense that in earlier times, sculptors seemed to have been much more dedicated, more focused. The slowness of life, learning, patience, and initiation resulted in the creation of works that really ‘speak’, works that are able to transfer the whole range of human emotions because they make a connection with the viewer. 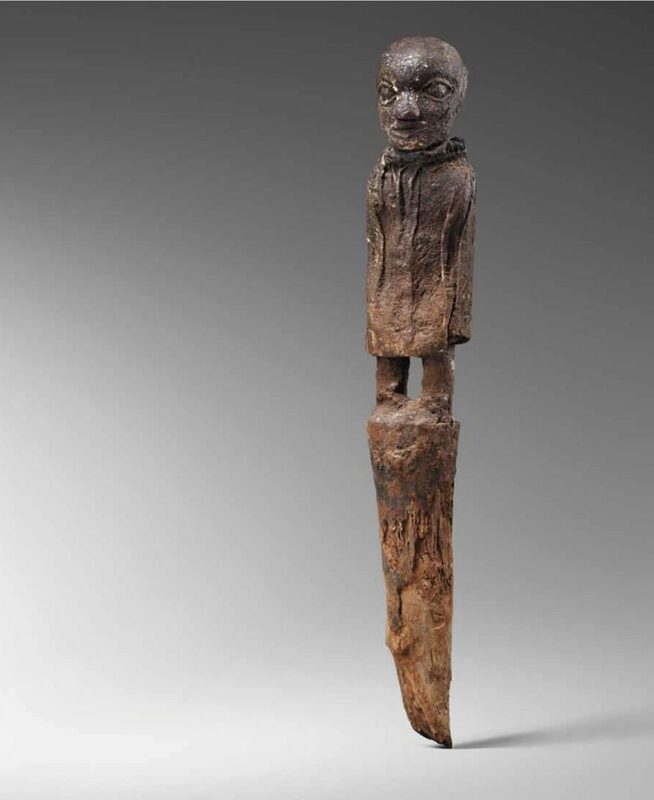 Sculptors also knew exactly which wood and materials were needed to make a sculpture ‘work’—again, a characteristic of every great work of African art. As everybody knows, it is impossible to consult a list with all the ingredients needed to make a bocio (only the maker and the owner, the healer, know that secret). Nevertheless, by observing as many bocio pieces as you can, a good viewer ‘feels’ the originals! We see that more recent but authentic Fon pieces had much more exaggerated features, amazing at first sight but rapidly annoying and even ugly later. They lack balance and have a certain ‘weakness’. "Visiting a village we'd known for years, we were suddenly presented with a number of bocio planted in the ground, presented as something true but the whole group was fake! We had a really good laugh with the healer that day, took some pictures for our archive, and left it at that." What are the differences between Fon, Ewe, Ada, and Adja bocio figures? I can’t comment on Ewe and Ada sculptures. 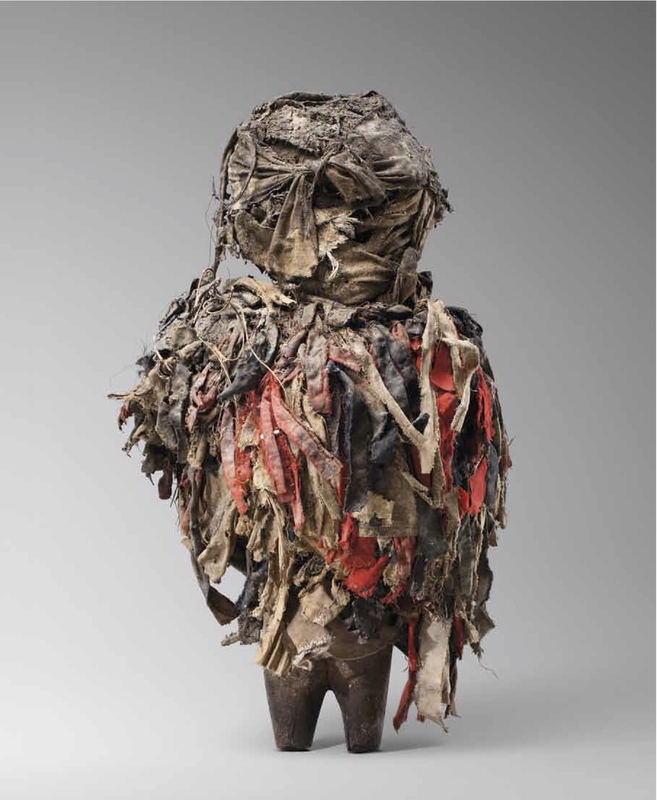 I saw a lot of them, less in situ and mostly from dealers, but was never much involved as we spent most of our time with Fon and Adja sculptors. Personally, I've never had the same feeling with Ewe and Ada sculptures as I have with Fon and Adja figures. In my opinion, the Ewe and Ada figures we see today are late and not very interesting. It makes sense in a way because they are located in areas which had early European contact. 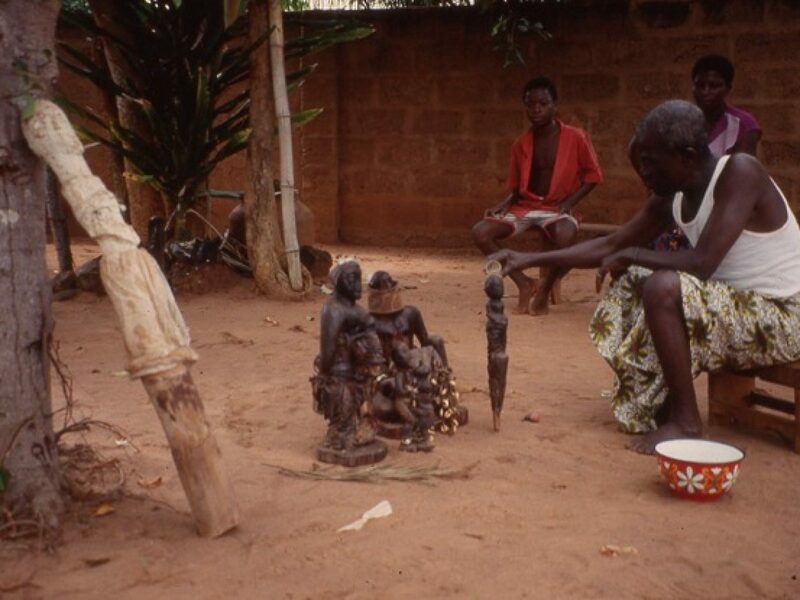 Adja figures, on the contrary, are well-preserved and have maintained their traditions the longest. 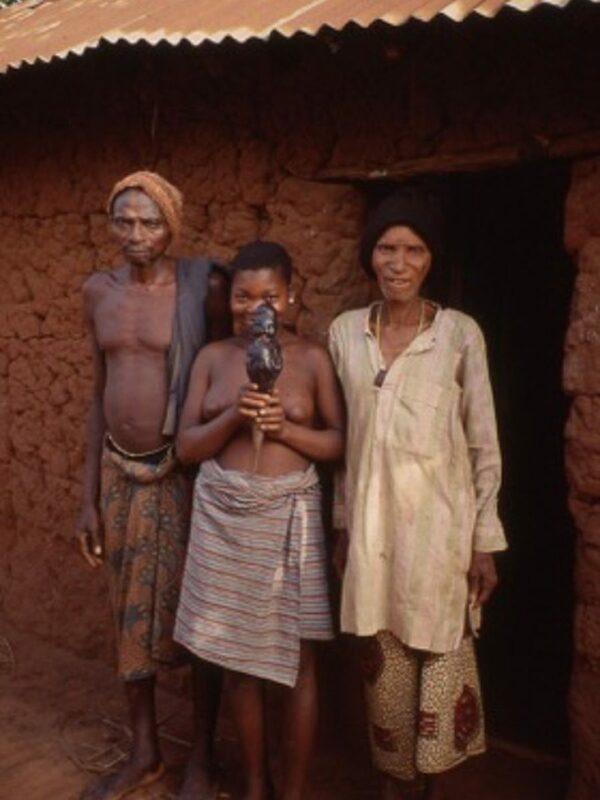 Adja peoples had less interference from modern societies quite unlike the Fon around Abomey had. Adja figures are my personal favourite. 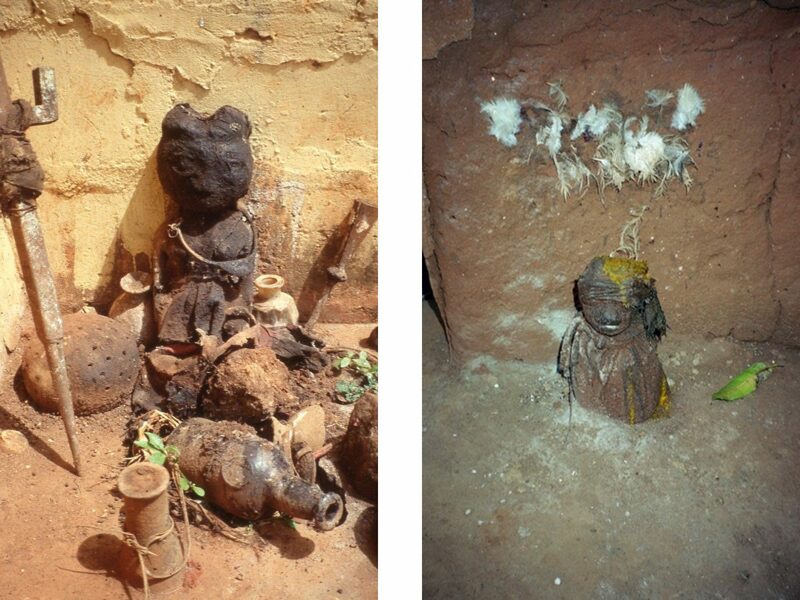 The Adja healers we visited did not have a whole range of figures on their altars. Figures are smaller in size, heads are proportionally smaller too. For some, bocio figures can be very aggressive, brutal, and raw. How popular are bocio figures to collect today? Bocio figures are still not very high in popularity but are now much more appreciated than they were 20 years ago. It is true that some bocio can be very raw but that isn’t limited to artworks from the Fon. 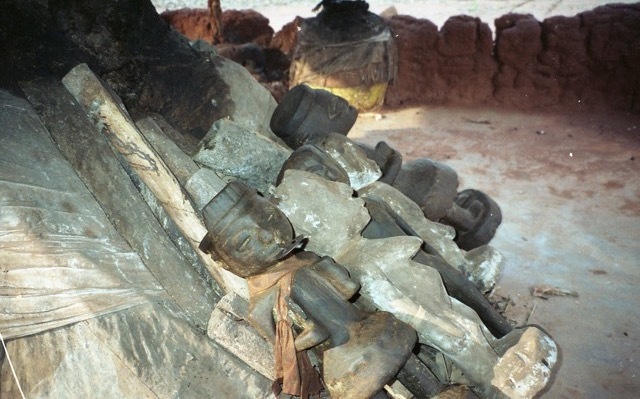 There are raw and rough works made by the Songye, Dan, Kongo. In the same vein, there are more ‘refined’ Fon and Adja artworks. However, the classification of ‘rough’ vs. ‘refined’ doesn’t really make sense in my opinion. 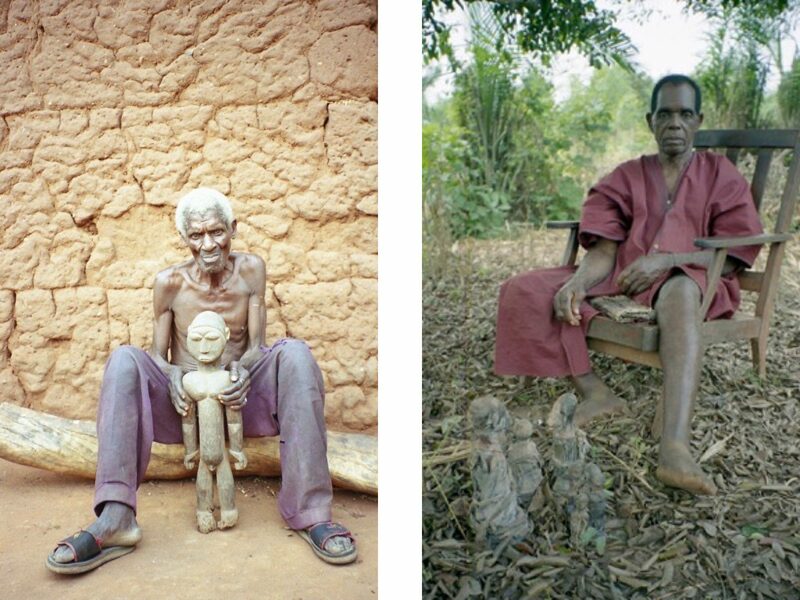 Would you say that authentic bocio figures are still being produced today in Benin? Yes, they are but in a different way. Young healers buy their bocio in ‘ateliers’ along the road. The dedication and knowledge seem to be gone. The pieces bought for traditional reasons are sometimes the same as those offered for sale at the craft and tourist markets. Superficial, if we can say so. That is why a copy is sometimes hardly different from the ‘used’ but young bocio. We see a lot of young and fake figures appearing at all levels of the market. Often they are ‘too beautiful to be true’—friendly faces, exaggerated features, big in size, perfectly balanced loads, a little bit of everything but lacking power. Ekpolêhonmi; Ekpo = wood, Hon = door. The market has changed enormously! Galleries are no longer meeting places. The new, younger buyer is a ‘worldwide’ buyer and is visiting only the major fairs and/or buys at auction. There are much fewer collectors dedicated to a lifetime of collecting in a specific field. Young buyers are mostly hard-working young millionaires with a passion for ‘art’ and they want ‘the best’, so they mostly buy the highlights of today. Nothing wrong with that but in my opinion that can be very limited. A work of art does not become a highlight in a short time. 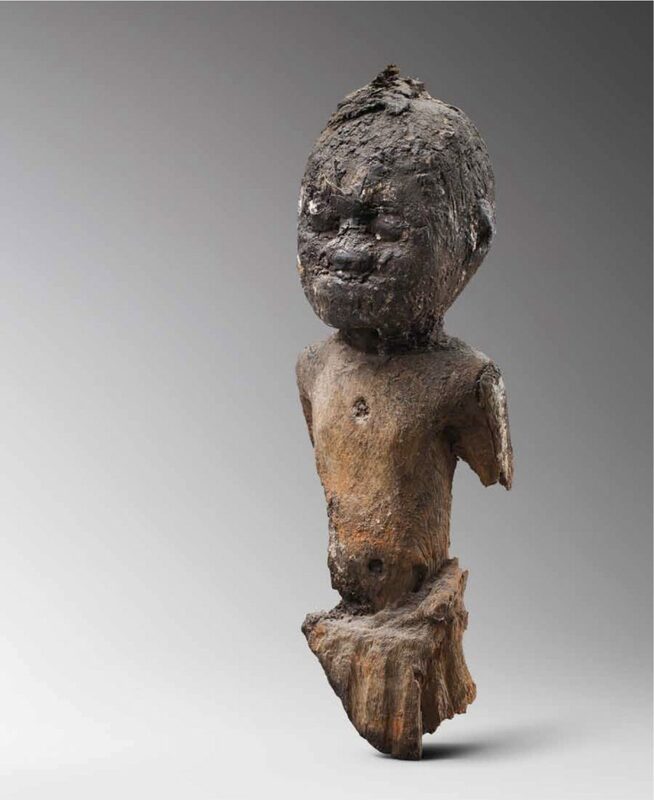 Today, the African art world is missing the passionate connoisseur who looks further than the highlight-of-the-day. The good thing is when you know what you are looking for and you have the knowledge and the patience, you can still find great deals! 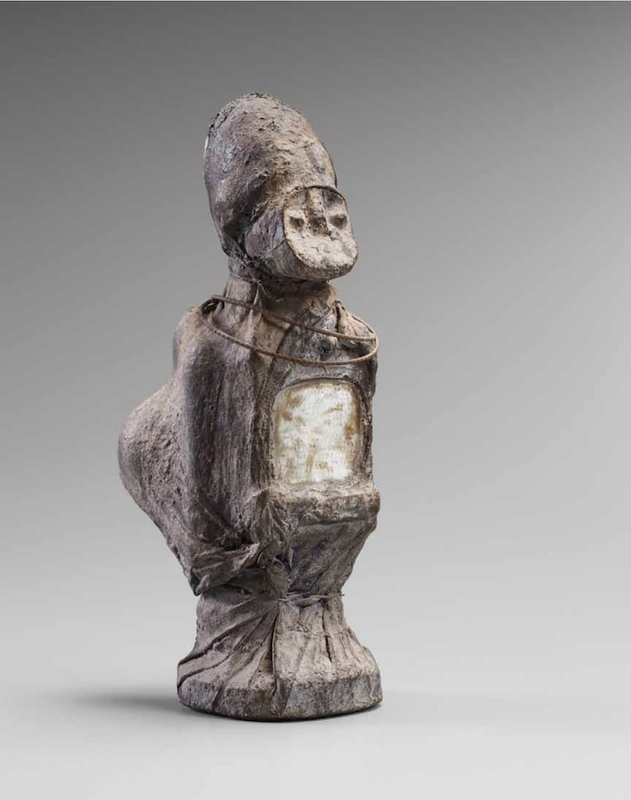 With regard to bocio figures, I believe that little by little, we’ll see more at major fairs and auction houses. 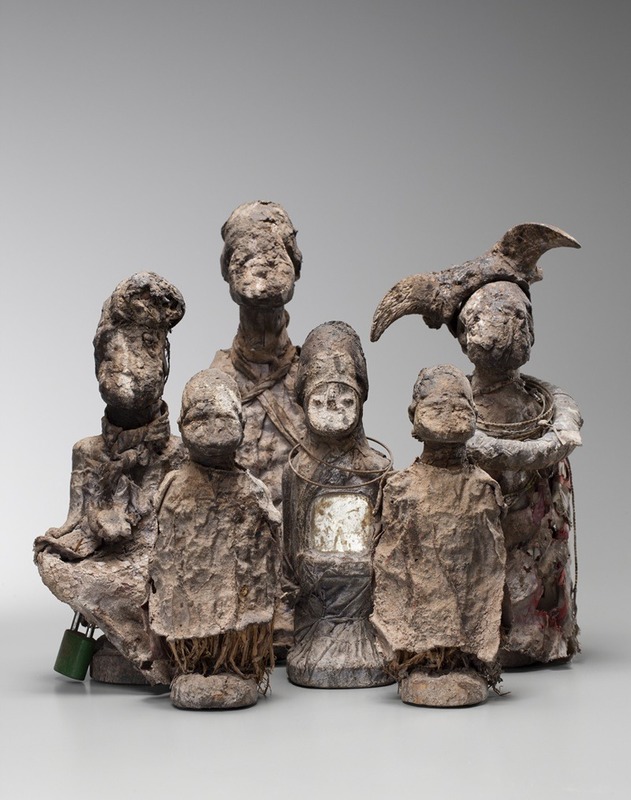 What advice would you have for collectors starting out in African art and interested in collecting bocio figures? I recommend that every collector stay informed and communicate with people who have real experience in that particular field of African art. Look closely at as many bocio figures as you can. Ask for advice from experienced people. Wishful thinking has no place in this field. Do your homework! 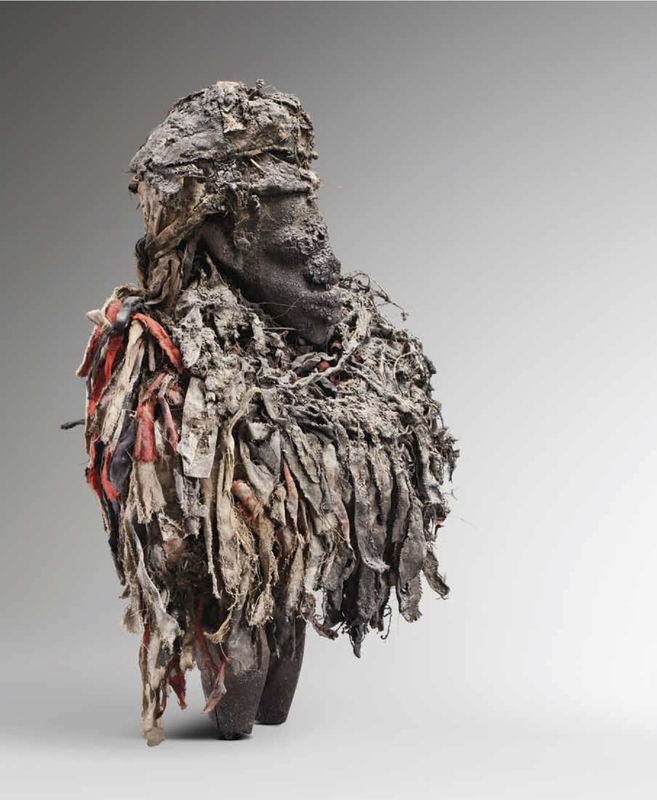 Judge a Fon piece like you would judge any other African sculpture. Do not become overwhelmed by the spectacular, the ‘wow’ factor. A good African sculpture becomes better every time you look at it so take your time!